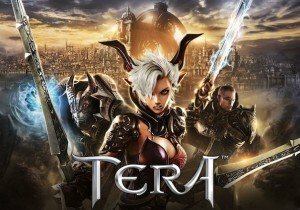 TERA first launched on PC on May 1st, 2012 and continues to go strong with consistent, engaging content. To celebrate this, players on PC can look forward to a month of community events and in-game events to celebrate this milestone. Sales on EMP, story items, secret mystery items of titanic proportions will be released throughout the month. This will also mark the return of the rare Terrons, bonus rewards from dungeons and battlegrounds, as well as the brand-new double guild rewards event. The community team will be hosting events both in and out of game throughout the anniversary month, including a new screenshot and loading screen art contests for creative TERA fans. En Masse staff will be in-game throughout the world during weekdays, excluding Monday, May 28, handing out anniversary scarves to players who find them politely request one. Stay tuned because the TERA team will be posting weekly updates detailing which servers and times they will be online to hand out scarves, so keep your eyes on the TERA homepage for it. Joymax today revealed the addition of an all-new powerful Digimon for its popular MMORPG, Digimon Masters.